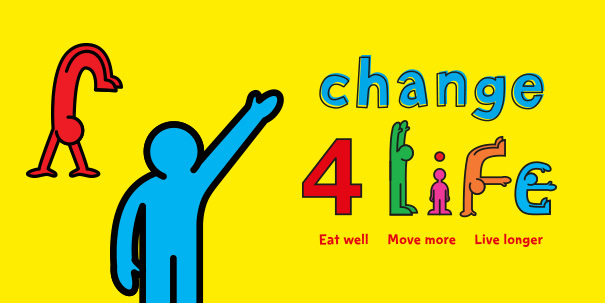 Supported by Change4Life apps and materials, discover how three Kent families made some simple lifestyle changes to improve their health. Without realising it we’re all eating too much sugar, saturated fat and salt. But there’s a way to find out what’s in your food. We asked three families from Kent to use the brand new Be Food Smart app. The results were surprising! Feeling inspired to Be Food Smart? The Be Food Smart app is here to help you and your family make healthier food and drink choices. Simply scan the barcode of your food and drink to find out what’s inside. You’ll also get loads of simple hints and tips to help keep your family healthy and happy. Not sure if your kids will eat healthier food? We asked three families from Kent to share their experiences of making some simple lifestyle changes. The results are great to see! Feeling inspired to eat well? There’s lots you and the whole family can do to eat well. Here are just a few suggestions to get you started. Try as many as you can in whichever order you like. Be sure to get everyone involved and, most of all, keep it fun! Discover more about healthy eating for families. Feeling inspired to move more? There’s plenty you and the whole family can do to move more. Here’s just a few suggestions to get you started. Try as many as you can in whichever order you like. Be sure to get everyone involved and, most of all, keep it fun!